The Minister of Economy, Luis de Guindos, said yesterday that the doubtful credits of the Households for the purchase of housing have declined from 6.3% Represent at the worst moment of the crisis, in 2014, to the current 4.7%. This fact shows that the vast majority of Spanish families “Scrupulously” with the payment obligations of their mortgage loans, “he said. Minister, who nevertheless explained that the persistence of difficulties Vulnerable citizens to deal with mortgages has led the Executive to follow Taking measures of relief. De Guindos expressed itself during the debate on the validation of the Decree-law that extends the antidesahucios moratorium on habitual residence until 2020. Vulnerable families. With this rule, the Executive wants to continue the measures approved since the beginning of The crisis, and to improve and deepen the protection of the most vulnerable debtors of the society. Measures which have always been taken in the light of the “good Functioning of the mortgage market, “insisted the minister, who recalled that almost 80% Of the Spaniards have housing in property. As stated by the Minister of Economy, thanks to the standard that was validated yesterday, Expands to 2020 the antidesahucios moratorium of habitual residence for vulnerable families, Which will now include those who have children under 18 years of age, compared to the age of Three years that was contemplated before. The Royal Decree-Law, in addition to extending the moratorium on foreclosures until 2020 Which affect the most disadvantaged groups – which was in force since 2013 – includes Other assumptions so that more families can benefit from both the Code of Good Practice As well as the suspension of the launches. Thus, thanks to the flexibility of the criteria, vulnerable families will be those with Children or those who are single-parent with dependent children, rather than with Two stems as before. The Minister of Economy indicated that within eight months after the entry into force of the real Decree-law, ie until mid-November, the Government will propose measures to Facilitate the recovery of the property of the habitual residence by the debtors included in the Implementation of the law suspending launches, if it had been the subject of a foreclosure. In this regard, Guindos explained that among these measures may take into account discounts based on the quantities already paid, as well as other factors that Guarantee a fair price. Finally, Guindos made an explicit recognition to the different political groups in the Congress that allowed the improvement of the text and broaden the consensus to validate the norm, That managed to have the vote in favor of PSOE, Citizens, PNV and PP. Recent rulings by the courts giving reason to consumers who have Demanded the return of the amounts of the floor clauses, together with the Margins in the banking sector, due to the new regulatory requirements and the low Interest rates, are already making higher prices for banking products, including mortgages. And in the face of the possibility that the rebound will be stronger, especially if there are changes to Medium term in monetary policy, the new mortgaged seem not to want to assume Risks. This week the Bank of Spain published a report on Review of interest rates on new mortgages, stating that Mortgages with initial review of up to one year have gone from representing between 80% and 90% In 2010 to only 50% at present, reason why half of mortgages are already signed to types Fixed or mixed (fixed during the first and subsequent years). In its analysis, the monetary authority stresses that “despite the fact that Spain is, Within the euro area, in the group of countries where the importance of type-financed Variable, there is a trend towards an extension of Of interest rates, which is also observed in the European Union ‘. Since the beginning of 2010, there has been a loss of weight in Spain Loans in which the cost is reviewed before one year. In a first stage, until mid Of 2015, there was an increase in the proportion of loans with Fixing the interest rate between one and five years. Subsequently, the Segment of more than five years, which includes contracts at fixed rates. The Bank of Spain asserts that the more relevant, longer-term The structure of the mortgage market is that the costs of financing households are made Less sensitive to movements in interest rates, thus limiting the scope Of the impacts associated with monetary policy decisions. However, he says, given the long maturities of the outstanding debt and the recent Changes in the composition of the new operations, their impact on the total portfolio Is still very limited. Thus, in December 2016, 96.6% of the outstanding balance of Loans in Spain was at a variable rate and 85.2% Reference the Euribor to twelve months. In spite of this rise in the cost of mortgages, it must be remembered that the Euribor – the index Are referenced most of the Spanish mortgages, closed February in the minimum of -0.106%. Opinion piece by Melissa Sáez, lawyer of ARAG, in which she comments that the presentation Of the income statement always generates doubts in the taxpayers about what Must declare or what can be deducted. The recent judgment of the CJEU, which ruled in favor of The total repayment of the money paid more by application of abusive soil clauses, Is a novelty in this exercise. Explain that the mortgaged who have seen or will see how The bank refunds the money overpaid, they should not be taxed for the tax effects that May derive from such repayment. The new rules on soil clauses already Clarifies that the sums received as a result of the repayment of interest paid, either in cash or by way of compensation for outstanding debt, should not be Presented in the income statement. Nor do compensatory interests which accompany the return. The concern of the bank to restore its damaged image and the return, judicial decision of By means of the money collected more for soil clauses is reducing the conflict with customers. The Bank of Spain received 14,465 complaints on 154 entities last year, 28.61 percent lower than the 20,262 recorded the previous year. According to its balance Provisional, fall because they fall by 57.68% the disputes originated by stops Mortgage loans – settled 3,958 files as well – while the rest of complaints fell 2.8% – There were 10,763-. The complaints gave rise to 14,721 resolutions, some more of the demands Raised because of the same sale can be derived several pronouncements. HE Is the third exercise where the disagreements abate and move away from the 34,645 record 2013 that pushed the agency to subcontract the management of files to be able to Within four months stipulated by law. They arose at the first sentence of the Supreme that abolished the classics floor in BBVA. Novagalicia -Joe Abanca- and Cajamar, and The start of their repayment in almost all other banks and the proliferation of Negotiations with clients to settle disputes. The incidences have almost normalized Compared with the 10,000 -15,000 annual cases recorded by the agency before exploiting this unrest. Its statistics also reveal the concern of the bank to restore its injured party Image with conflicts such as soil and preferential clauses, the aid injected to save Entities or the retirements of oroo of bad managers. Entities rectified when the Bank of Spain gave the customer the reason in 37.3 percent of the files by stops Mortgages and 43.2% in other claims compared to 35.4% and 40% in the year previous. Even so, they ignore their verdict in 62.7 and 56.8 of the cases. The index to which most of the mortgages in Spain are referenced will mark a new Minimum closing at the end of March closing at -0.11%, so it will continue to Mortgages In particular, 20-year mortgages with a capital of 120,000 euros could reduce its share by 62.79 euros per year. Sareb, the so-called bad bank, sold 14,097 buildings in 2016, 25% more than in 2015. Between the sale of real estate and other assets, the entity entered 3,923 million euros, 1% More, insufficient to wipe out the losses, which were 663 million. The entity assigns them to Commissions to real estate companies that help them sell (servicers), taxes, Neighborhood communities and costs of financing their debt. The president of Sareb, Jaime Echegoyen, yesterday celebrated the “clearly favorable environment” for the housing market that Has allowed the entity to sell in 2016 those 14,000 properties (85% housing, 10% 5% for tertiary use), which accounted for 1,050 million (27% of its income), as well as Such as disposing of loans and other financial assets for 2,846 million euros. Although The company lost 663 million, since sales generated a margin of 664 million Million, insufficient to cover the 683 million operating expenses (commissions to Servicers, taxes that pay the real estate and payments to the communities of neighbors where And 558 of debt financing costs. The margin of 664 million is almost half of the 1.237 million the previous year. The reduction Is explained, according to the entity, because in 2016 accelerated the sale of assets with disabilities, Those that now have a lower price than they had when they were bought. Echegoyen Considered important not to leave the worst assets for the end, but to sell to the same Those who have capital gains and those who do not for the sake of “equilibrium” and always ” That the Bank of Spain recorded a profit of 1,624.65 million euros in 2016, 28% Less than the previous year, when it earned € 2,269.92 million, as stated in the Annual report made public by the entity. Net interest income was € 4,548.12 million in 2016, 12% less than the previous year, while Fee income and commissions fell 19% to 6.68 million euros. He Governor of the Bank of Spain, Luis Linde, received in 2016 a gross 186,800 euros, which is 1.54% more than the 183,969 euros received in the year preceding. Account of results go where it has to go “, that is, not to lose money When the company is extinguished when its mandate ends in 2027. One-third of the assets Sold in 2016 had handicaps, which helped to “clean” part of the portfolio. The good progress of the real estate sector allowed Sareb in 2016 to launch 13 Housing developments, a total of 770 homes, and finalizing 19 works (386 Housing) that will soon be on sale. Echegoyen announced that it intends to continue Strategy to give priority to the real estate portfolio and set as objective the promotion of 1,500 New houses per year until 2027, between new ground and the completion of works stopped. According Said, the entity already has about 4,000 “in flight”, that is, in the process of construction. In order to accelerate the sale of financial assets (mainly loans), Sareb Will launch a “transparency portal” this summer, an online showcase where They will expose the loans they have in their portfolio. It was one of the sectors less affected by the bursting of the real estate bubble, and now Pick up speed at high speed. 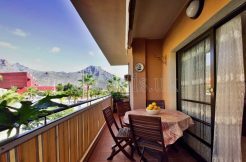 The demand for ‘premium’ housing (although there is no Consensus, usually receive such a distinction those that do not fall below 600,000 euros) has been Reactivated in the heat of economic recovery and has become a priority vehicle investment. According to a recent Engel & Völkers report, last year they were sold in Madrid 800 properties with a price superior to 1.5 million euros, which translates In a 60% increase in the number of transactions compared to 2015. The real estate Prices for this range of homes are expected to rebound between 4% and 5% this year. Set of the Community of Madrid. And the rent, one of the indisputable engines of the Reactivation premium, could grow up to 7%. Another of the companies specialized in Lucas Fox Properties, points out that, despite the Uncertainty that has been introduced by Brexit and the irruption of Donald Trump, the Foreign buyers continue to boost sales, although the domestic customer earns By the stabilization of the labor market and the effect of low interest rates. zero. Nothing seems to have changed much after the deep crisis. At least as far as the Spanish real estate preferences are concerned. The culture of purchase and housing In property “for life” continues to gain by thrashing the option of rent, for more That the ‘millennial’ impulse and the reality of a labor market that invites or pushes the Mobility would make them think otherwise. According to statistics recently published by the European Statistical Office, Eurostat, and Collected by the Institute of Economic Studies (IEE), 78.2% of the Spanish population Owned housing, almost nine points above the EU average (69.5%). The still picture in Spain has hardly varied in the last decade of ups and downs In 2007, the percentage reached 80.6%. From the IEE, they emphasize that the greater proportion of owner-occupied dwellings in The EU-28 corresponds to ten newly acceding countries to the European common project. In Romania (96.4%) and Croatia (90.5%), as well as Lithuania and Slovakia with figures Higher than 89%. Next are Hungary, Poland, Bulgaria, Estonia, Malta and Latvia, all above 80%. Spain is the country of the former EU-15 with the highest percentage Of homes in property. Below average are a number of countries in the center of Europe, alongside Denmark and the United Kingdom. The lowest proportion of homes owned Corresponds to Austria with 55.7% and Germany with 51.9%, countries where the Rent is very widespread. When these statistics are made public, one of the recurring issues is why there are So little willingness to buy in countries in the north and in the center of Europe, despite In many cases with higher income per capita than in our country. Sylvain Bouyon, an analyst at the European Credit Research Institute, is clear: “The purchase of Increased in the southern European countries in the Real investment alternatives for families “. In a recent report, this expert “In these countries there are many families who own Housing without any type of mortgage loan, since many children inherit the Homes of their parents. Bouyon believes that in countries such as Greece and Spain the purchase of public housing has been Traditionally promoted as a way of ensuring social stability, and there have been Numerous barriers that have prevented the creation of “a stock of local public housing”. Meanwhile, in northern countries and central Europe, the bet on rent would have in Historical explanation. “In the case of Germany, for example, the reason is Polycentric labor structure, which has developed a huge Housing to facilitate the geographical mobility of workers “. At the same time, this The expert adds that “the disparity of data has also contributed to the And social housing policies, and be an example of Germany, for example, homeowners have not benefited from any Subsidy from the tax point of view ‘. But the final element is cultural, because countries Like Holland did have such aid, and their level of purchase is also among the most Low in Europe.Manuel Gandarías, director of the Cabinet of Studies of pisos.com, notices some fissures in The monolithic trend of Spanish society to take over a home in property. “Is It is true that young people, due to the difficulty of access to the purchase, have to rental”. And in a good part of the “millenial” generation, the conviction seems to be rooted, Beyond the economic constraints, that buying is not always the best option. The role of labor mobility leads them to believe that it is better to enjoy Flexibility to be chained to a mortgage. A recent report prepared by the CBRE consultancy stated that 80% of Spanish millennials think that their generation is forced to rent. “Young Spaniards are helping to change the mentality about rent in Spain, a Option that caused rejection in previous generations. In this context, the Increasing interest from professional investors focused on the Rent, “explained Lola Martinez, director of Research at CBRE. “But clearly there is also a latent demand of buyers who have not been able to Access to housing in recent years, and are now gradually Fundamentally because of an economic situation of greater stability, with a Stronger labor market, “says Gandarias. In short, as soon as light is seen and a Opportunity, the Spanish launches to the purchase. In any case, Gandarias believes that the rent will gain ground because these years “has been Fostered by the Administration. The urban leasing law was changed in 2013 and This gives greater guarantees to both owners and tenants. And, indeed, in These years it continues consolidating with the appearance, in addition, of new models like the Tourist rental through very professional platforms, which have energized the market. In a recent interview with this newspaper, the general director of Housing Community of Madrid, José María García, explicitly defended this institutional support To ensure that “access to protected housing should only be through lease”. The culture of property remains deeply rooted, but something between the Convincing and need, moves in the rental market. The project of the new Euribor has always been surrounded by a certain skepticism. That Of the European Monetary Markets Institute (EMMI) to create A new index that better reflects the market situation and does not lead to manipulations Has been prolonged for more than three years and has suffered delays – its start-up is Initially planned for the summer of 2016 – has contributed in part to raising the Expectation and also expectations. As the key date of the next May, in which it will be decided whether the Euribor based on actual transactions and not on estimates As it is now viable, increases the nervousness and it is speculated that the change of index to which Are referenced most of the mortgages in Spain can fail. It is not the first time that the updating of the calculation methodology requires Transactions actually carried out between the entities (financial and non-financial Financial markets) raises the problem that in the market there are not always real crosses Sufficient to make the index interest rate on a daily basis, and more as a result of the Negative interest rates In recent days this theory has gained strength and it is feared that this Cause the index manager to paralyze the launch of the new Euribor just as it was provided. But sources close to the process ensure that, in this final phase, any rumor about the Euríbor “are mere speculations and elucubraciones”. The data collected from the Verification that financial institutions have carried out in the last six months, and that the Index manager is now analyzing to draw their conclusions, they are highly “Sensitive and confidential”. In fact, such information is practically A safe and only have access to key EMMI people. The same sources argue that, in the event that some bank makes these days a Exercise of extrapolation of the data, these may be erroneous because the operative is very Differently according to the countries and in the new Euribor trial 31 entities from 11 Countries of the euro area. Although we can not rule out a scenario where the renewed Euribor does not go forward Due to the lack of sufficient operations that contribute truth to the index, as well as by other Reasons that the resulting interest rate differs significantly from the current interest rate (12-month Euribor). Minimum negative levels of -0.110%), the agents involved insist that there is a Contingency that would, at best, simply delay the Entry into force of the indicator to which contracts are referenced for an estimated value More than 180 billion euros. For now, if on May 4 the announcement is made that the Euroregion based on the new Methodology is not viable, it is understood that the next day will continue in effect the current euríbor. The EMMI shall in any case explain the reasons which have led to such a decision and may Make public the results of the banking verification analysis. Then “in practice There will always be an index and it will simply take more time to analyze the alternatives, ” They admit the knowledgeable sources of the process, who anticipate that the most rational solution would be The so-called hybrid pathway. Economy will create an independent authority that will group the claims services of the Bank of Spain, the General Directorate of Insurance and the CNMV. The reasons for being Dissatisfied with the products and services offered by financial institutions may be Varied: excessive commissions, lack of information, delays, inadequate personal treatment, Breach of obligations, and a long etcetera. It is increasingly common for complaints to end up in court: preference holders, shareholders, Affected by land clauses … Economy is working on broad legislative reform Including the creation of an Independent Administrative Authority for the Protection of Users of Financial Services and Financial Investors, to create a new office Of complaints now divided between the Bank of Spain, the General Directorate of Insurance and Pension Funds (DGSFP) and the CNMV. The public consultation of the draft bill That the shelter ended two weeks ago, so there is a long way to go for your Processing. As long as this new independent authority does not see the light, savers and Investors who wish to file their claims must use the usual channels. Who has the right to file a claim? Users who feel disadvantaged By any action of an authorized financial institution: credit institution, Insurance company, investment services company, investment services company (company and Securities firm), portfolio management company, financial advisory firms (Eafi) And manager of collective investment institutions (funds, Sicav, pension plans). Which is the first step? Submit the claim to the entity itself in its corresponding Service or customer service department or the client’s advocate. The first is Compulsory by law, and it is an internal and specialized department, but it must have the Sufficient autonomy to decide on conflicts between the entity and a client. The defender of the Client is an external body to the entity, so it has complete independence and Autonomy to act. This figure is optional, except for the case of pension plans Individuals, who must permanently rely on a defender of the participant. What is the deadline for receiving a response? If no response is received after two months From the presentation, or is not satisfied with the response received, the Complaint to the corresponding supervisory body. Is the nature of the product or Service that is determined by the competent supervisor to deal with complaints and claims Raised. In what cases is the Bank of Spain claimed? The banking supervisor Claims arising from financial products such as time deposits, Mortgages, personal loans and other similar assets. You can also claim on topics Which affect currency exchange and appraisal companies. When should you go to the General Directorate of Insurance? All complaints regarding Pension plans and their corresponding managers, contracted insurance and their entities Insurers. The same financial entities will be affected in this same concept That offer or market such products. What complaints does the CNMV have? Those that affect in their operations and management of Investments, such as listed shares, mutual funds, (OPVs), extensions, etc., regardless of whether the intermediary is An investment services firm or a credit institution. What should be included in the claim? These are the essential information: DNI or CIF Claimant; Name of the entity against which the claim is filed; Done and Motivation for which it is presented; Certification of having made the claim before the Customer service of the affected entity; Place, date and signature of the claimant. HE Must attach all copies of the main documents proving the contracting of The products and the alleged negative management or negligence on the part of the financial institution Affected. How long does it take to answer the supervisors? The maximum term is 4 months. Are the supervisor’s decisions binding? Do not. What else can be done? Go to court. Santander Asset Management, Santander’s manager, is among the investors Institutional investors who attended Neinor’s IPO, held on Wednesday. According Market sources, the participation of the fund manager in the real estate company Created by the Lone Star venture capital fund, is close but below 3% of its capital. This is the level from which investors must report the holdings To the National Securities Market Commission (CNMV). The manager, who owns 50% of Santander and venture capital funds American Warburg Pincus and General Atlantic (see attached), has purchased Shares of the company for some of the equity funds that make up its range of products. The awarding of the former Caja de Ahorros del Mediterráneo to Banco Sabadell included that the Deposit Guarantee Fund would assume 80% of the losses of an asset portfolio. For the second consecutive year, the Deposit Guarantee Fund (FGD) has paid the Bank Sabadell slightly more than 800 million euros for losses During the past year in the portfolio of assets protected by the FGD, within the Of the conditions for the award of the former Mediterranean Savings Bank (CAM) to Sabadell. This is the second year in which the Guarantee Fund has to pay an amount Of that amount. The bank today distributed a remuneration of 2,756 euro cents, entirely in cash. This payment to the shareholder, the third of its history, represents an increase of 5% over Paid in 2015. This remuneration was approved at the meeting, as well as a contrasplit (one New action for every four years old) that has no date yet. After this payment, the taxpayer will have recovered through dividends, plus the The sale of the 7.5% package in 2014, a total of 1,836 million euros from the Nationalization of 2012. 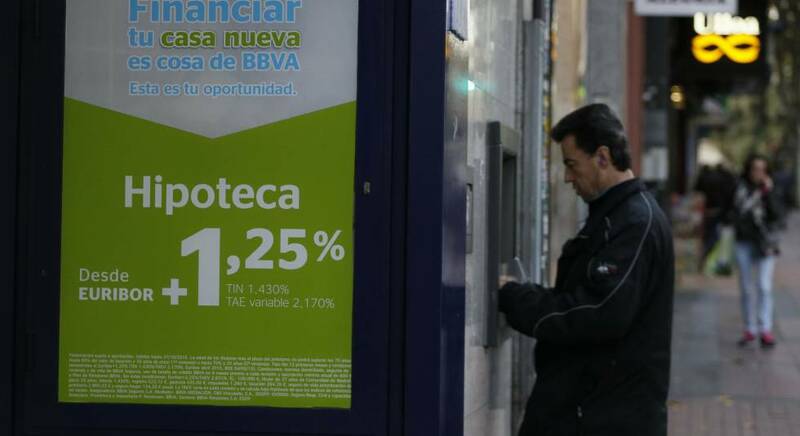 Bankia considered paying extraordinary remuneration due to its excess capital, but this Possibility will no longer see the light after the approval of the merger with BMN. Meanwhile, the entity continues to make progress in the restructuring of the part of its balance It is still damaged. Yesterday, it announced the sale of a portfolio consisting of doubtful loans and Failed, especially of promoters, for an amount of 103 million. The operation will reduce its doubtful balance by 77.24 million, decrease its default rate – was 9.8% in 2016 – and will free up resources to increase the grant of new funding. This is the first transfer of a package of these characteristics carried out in what goes from year. Broad article in which it is said that entities join the wave of recent issues Loss-absorbing bonds that are widely accepted by Of investors. Evo Banco raises bets on the banking career by digitizing the business financial. The entity announced that it will incorporate in its board of directors, as Independent, the former general director of Google Spain Javier Rodríguez Zapatero. The objective, Explained the bank, is to count on the strong man of Google in Spain to contribute to “Accelerate the digitization and adaptation of the entity” towards “more innovative” models.